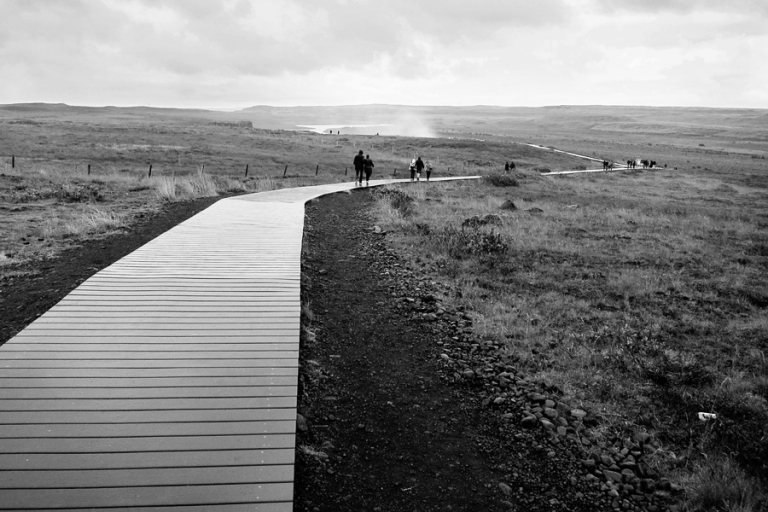 The photo below shows the meandering footpath to the iconic Gullfoss in Iceland. The waterfall, translated to mean “golden falls,” is on the Hvítá river, fed by Iceland’s second biggest glacier, Langjökull. On the day we visited, the weather wasn’t particularly cooperative and it rained most of the time we were there, but we still followed the slippery path down to the waterfall and took in the sheer power of it. If you look down the path in this image, you can see the top of the spray coming off of the falls.